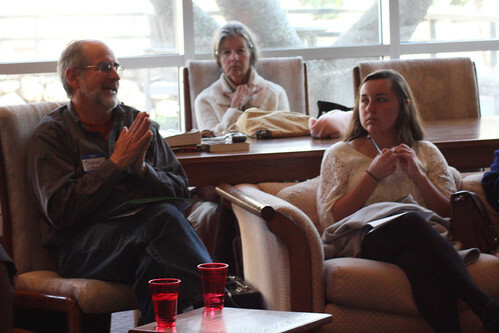 Local activists met in the Laurel Forum at UNC Asheville today to encourage students to find their passions and get involved in their community. “The cries of the people who are oppressed are loud if you’re sensitive,” said Clare Hanrahan, founder of the New South Network of War Resisters and legal adviser to the Occupy Asheville movement. 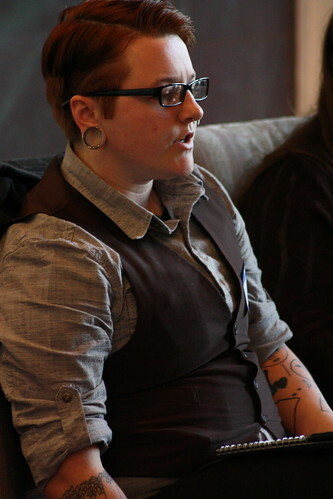 It was the first of two panels about community activism hosted by UNCA’s women, gender and sexuality studies program. The second panel will be held Thursday from 12:20 p.m. to 1:30 p.m. in the Laurel Forum in Karpen Hall. The event is free and open to the public. Volunteer opportunities abound in Asheville, but according to Monroe Gilmour, coordinator for the Western North Carolina Citizens for an End to Institutional Bigotry, overwhelmed students should pick an area they’re excited about and work it into their schoolwork. According to Nicole Hinebaugh, activists should not lose touch with the individuals they seek to help. 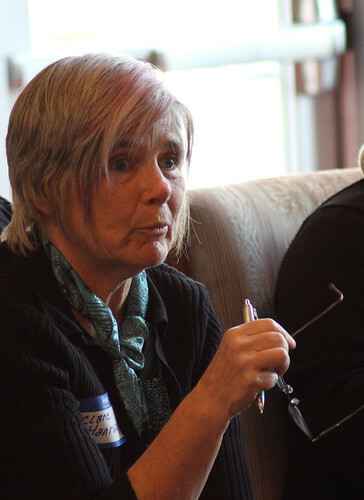 In response to a student’s question about how to prevent exhaustion from over committing to activism, former executive director for Western Carolinians for Criminal Justice Ellen Clarke said to pace yourself. • Holly Iglesias, prose poet and North Carolina’s only winner of a 2011 National Endowment for the Arts Creative Writing Fellowship; lecturer in UNC Asheville’s Master of Liberal Arts Program.